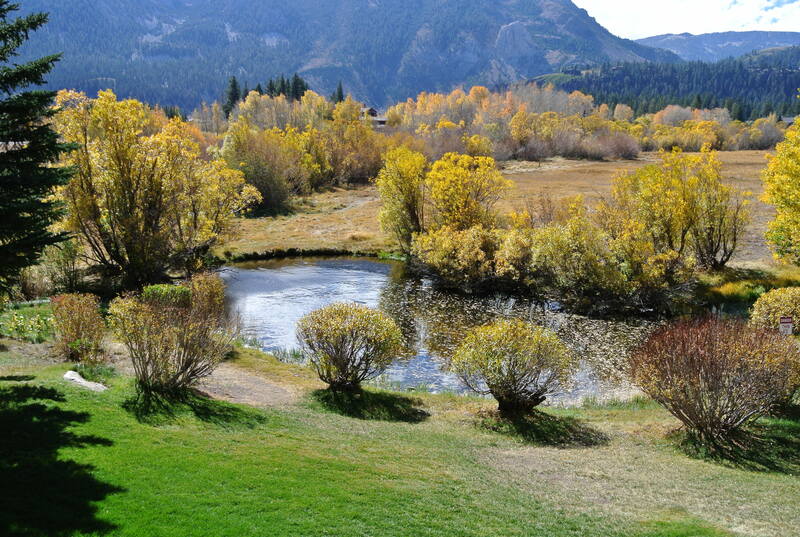 As of today, November 1st, the Mammoth Lakes real estate market has a total of 57 homes, 141 condos, and 50 vacant land active listings for sale. The inventory has significantly shrunk over the past few weeks mostly due to several expired listings, a few cancelled listings, new escrows and closed sales. Many sellers have realized that continuing to extend a listing, or have it on the market during what has mostly been an inactive selling season, doesn’t make sense. Like most buyers, sellers too are waiting to see if it snows this year before revisiting putting their property on the market. The California drought has had a significant impact on Mammoth real estate sales after March of this year. This is pretty much when it became obvious that the snow wasn’t coming (at all)…. With all of the media attention regarding the lack of snow in the Sierras, extreme California drought, and global warming, people most likely want to see if Mammoth gets the “Mammoth” winter predicted before rushing in to buy this ski season. Overall, days on market were higher this year (on average) vs. 2014, however, sales volume was slightly higher this year with an additional 7 sales over the same period last year, and slight increases this year for average and median list and sales prices. It would seem that buyers remain optimistic about Mammoth Lakes and still want a piece of it despite the extreme drought. The Gray Bear new construction homes on the Sierra Star golf course have been another hit (in continuation to the small Graystone development completed/sold out last year). Gray Bear Phase II will be launching 25 new construction homes offering a variety of floor plans and square footage to suit most preferences. The starting price is $865,000 up to as much as $1,800,000 for a larger home that could be customized to a buyer’s preference. The starting price of $865,000 would provide a home with approximately 2,100 SF, while a home for $1,800,000 would provide a home with approximately 4,000 SF. Basically, there is some flexibility (from what I understand) for buyers to expand the square footage, room count and select cabinetry, stone, flooring, etc. Although these homes are in high demand and zoned for nightly rentals, some buyers still prefer the comfort of buying a house already built that they can walk through and know exactly what they are acquiring (without the wait). On the subject of nightly rentals, Measure Z passed by a landslide recently, which means that a huge majority of Mammoth Lakes’ voters voted in favor of the right to vote for or against nightly rentals for single family residences. This puts the power and control of whether to expand nightly rentals to Single Family Residences in the vote of the homeowner vs. the Mammoth Lakes Town Council. As of present, nightly rentals are not allowed in homes located within the “residential” zoned areas of Mammoth Lakes. This will most likely be the case for some time and if the vote is put out there to expand nightly rentals to include Single Family Residences, it would appear that there is a lot of opposition against this. 1501 E. Bear Lake Road, Gray Bear on the Sierra Star Golf Course. Priced at $865,000, this new construction home will be completed in the near future. The floor plan offers 2,138 SF of living space, a lot size of 8,443 SF, 4 bedrooms, 3.5 baths and an attached 2-car garage. With a California Craftsman architectural design, this home backs to the 6th fairway of the Sierra Star golf course and offers mountain resort living at its best. Great west facing views towards Mammoth Mountain, an option to rent out this property nightly to offset costs of ownership, excellent location on the golf course, close to the ski slopes, and the Village at Mammoth, makes this a great opportunity to take advantage of new construction at an affordable price. Snowbird #212. This 3 & Loft, 4-bath condo at the base of Canyon Lodge (steps) is listed for $949,000. This is probably one of the most impressive remodels I’ve seen in a Mammoth Lakes condo (located within a 1974 development). They combined two units to create one very large condo offering 1,952 square feet on three levels. This price seems reasonable considering what a remodel like this must have cost the sellers. The monthly HOA dues are $1,015 and the complex features underground parking. This unit is a “must see” in person in order to appreciate the close proximity to Canyon Lodge and the quality of the high-end remodel. Woodwinds #13, 2065 Bear Court. This 3-bedroom, 3-bath townhouse just listed for $700,000 and offers 1,741 square feet, an attached 1-car garage, golf course location, and very close to the Village at Mammoth. The monthly HOA dues are $625. These townhomes were built in 2006, which provides newer construction and the higher end details customary for a resort area newer development on the golf course. The quiet location is tucked away at the end of the Bear Court cul-de-sac, just up the street from the new Gray Bear and Graystone developments. You feel like you’re away from it all with peace and quiet even on the busy holiday weekends. For questions regarding any Mammoth Lakes real estate listings or to schedule a showing appointment, please contact me directly.